I recently returned to my job from maternity leave and the tremors of how much had changed in the space of a year are only just starting to settle. Either I was hiding under a fuzzy pregnancy blanket before going off, or things have changed quickly. I don’t think I was, I mean I remember being at work the day that labour started. Maybe when you are in the sea of change you don’t notice it so much, it takes a step back for whatever reason to see it. The question I have for you is this; have you noticed the pace at which things are changing, or is it just me? Packed lunches are so out. And, drinking fuel is in. Which is good as I don’t have time to make my lunch anyway and not being hungry feels great. 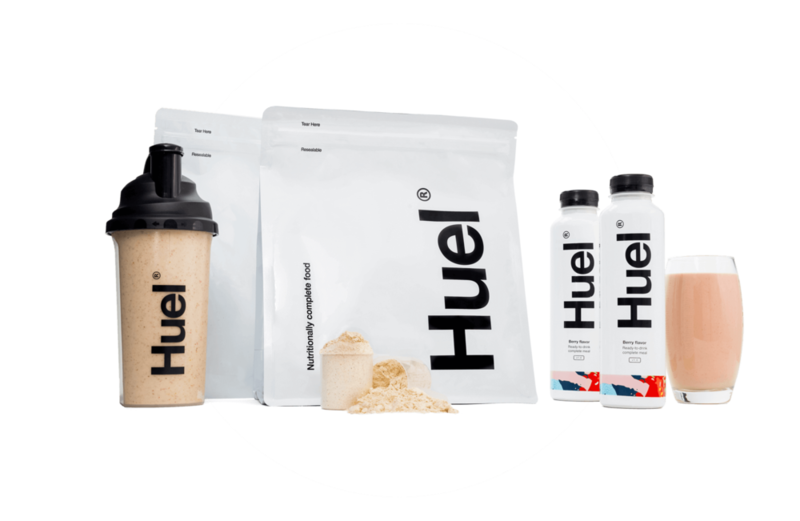 There is no better example than Huel for demonstrating that the private sector are into Community Building and Community Engagement, not just in a CSR sense, but as core to how they engage with their customer. Community Building is at the heart of their marketing strategies. I think we might have done it. Social Enterprise, Social Business, Doing Good – whatever you want to call it is firmly now in the mainstream. Sure, there is more to do. The planet is dying, the robots are coming (more on this later). Seriously though it looks to me that all companies now are being expected to provide some kind of offset for their impacts. They are doing this because consumers and tax payers are demanding it and so that they can hire and retain talented employees working for their mission and because they care obviously. Not that this all happened in the last year, certainly not. It’s been years of back breaking work and advocating from the whole sector. I do think we’ve reached a more positive point than we’ve ever been in before and that’s worth celebrating. Everyone is now officially up for learning. Yay! Online courses and the sharing of free and useful information seems to have uncontrollably blossomed. MOOCs, Universities, all kinds of different companies are all sharing freely their pearls of shiny wisdom. You can learn pretty much anything at a time that suits you online. Now. Like today. Quality control – and the challenge of knowing which bits of the information deluge are best suited to your particular circumstance – now seems to be the hard part. My phone now recognises my face. Take a minute to think about that for a moment. Wow. Social media channels are no longer just a fun little thing that you do on the side. It’s a key part of work. Of life. LinkedIn is a way that you can connect with your colleagues, not around the water cooler with small talk but about stuff that drives you, motivates you and challenges you. Not just your existing colleagues, all the colleagues you’ve ever worked with and might work with in the future. And by the way more people are on Facebook in the UK than are registered to vote apparently. 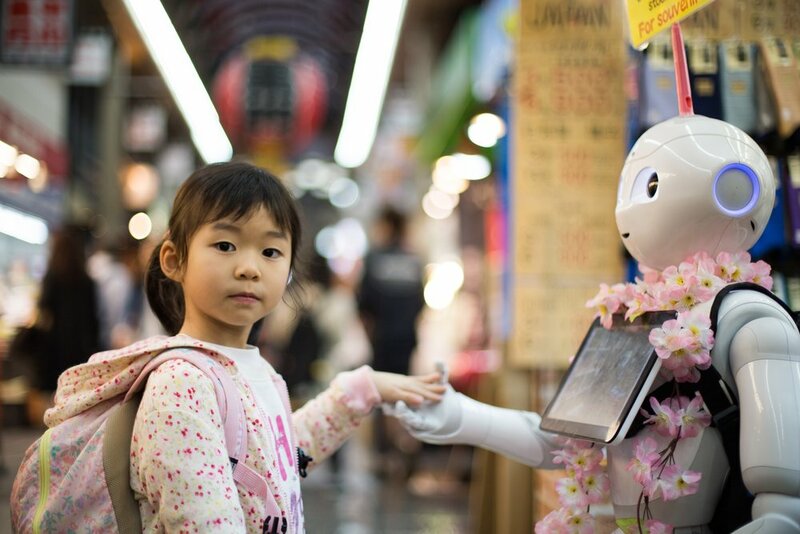 Now how do you create a change in the workplaces in Scotland to embrace our robot friends? I can’t help feel there are lots of transferable skills here and what we’ve been doing in community development over the years - getting people in communities engaged and on board – is now being embraced beyond our bubble. Everyone wants to know how to change your company culture and for their products to be “human centred”. It seems like the skills we’ve got in creating positive change and putting people at the centre of that are more important than ever before. I used to be on the innovation team at work. On one occasion we went mad with post its, competitions, ideas and prizes and although shared space was provided for it to happen year round it was difficult for the wider staff team who were kept really busy with the day job. But now, it seems everyone is in to it. It’s the thing. I know Scottish government has invested in it with things like the CAN DO initiative. It’s the secret behind massive trillion-dollar companies like Google and Amazon and the how to make your services and company something that is relevant now and in the future. Oh that’s another word that appears to have taken the work place by storm. Future. I met a Future Living Specialist and I had to ask the man - that do you do? An engineer. Ah, oh okay. Gotcha. The pace of change in the workplace seems to have increased. I’ve been back 6 months and only now am I finding time to reflect and putting my thoughts out there. I’m sure I’m not just catching up anymore from the time off. I think, everyone is catching up permanently. I know friends have found it hard to balance life and family. Change is hard. Even if millennials don’t think so. I thought millennials were young things, but recently I looked it up. I am one. On the older side of the phenomena but still good to know. My morning commute companion on the radio has changed for the better – and not just because she’s a female voice, Lauren Laverne has a feature while you were sleeping, which lets you catch up on music that’s been released overnight! Change and being on perma catch up seems to be inevitable. Goodness help me when I take my summer holiday. Now I know why the Japanese with their future thinking, advanced technology don’t take holidays! ‘Be a Mermaid and Make Waves’. That was what it said on the presenter’s mug. Perfect. First question comes in, someone would like to start an organisation that fixes musical instruments and uses the profits to provide music workshops for the community, how do you go about starting up? Brilliant idea I say as I realise I’m live on air and the whole of Glasgow can hear me! Ah! As I stared at the mug, I thought this is really just asking How do you become a ‘mermaid’, someone who is a bit different to the usual fish in the sea and does something that most people will only dream of? My advice would be to just do it. Don’t give up the day job quite yet but you’ve got to just start. It might be small stuff if that’s all you’ve got time for, but that’s it you are off…. Don’t get me wrong initially you’ve got to do some research – is anyone else out there doing it for example? I would look at Retune and Musical Broth who are currently doing similar things, although not the same idea. Just get in touch, tell them about your idea – meet for coffee, understand what they do – whether you fit in with that or whether you want to start something new. If you are not sure who else is out there, we can signpost you to these groups or we can be involved in the development of a new project, organisation or community initiative too. We can provide desk-based research so that you’ve got some data and hard facts and figures to back up your idea. There can be a whole load of different structures for community organisations, CIC’s, SCIO’s – the main thing from our point of view - so that we can support you - is that the business is for public good rather than the individual. We can talk you through the various options and help you set up a structure that best suits your needs. Then once you’ve got the basics ready, I would build a network of support, contacts, an audience. People that want to support you and your idea and see you flourish. You’ve got to build a network, develop a community for your project, your workshops, so that you can make your ‘waves’. You’ve got to start talking about your idea to people who are interested. People who are listening. Say you are interested up your project in setting it up in Govan for example. A great way to do this is to engage with your community, ask people if it would be something they are interested in and why. This is what I specialise in – community engagement - and of course I’ll tell you this, it is just so important. If you would like to engage with your community and you’re not sure how to get started, talk to us. Or maybe you are already doing ‘community engagement’ but not getting much response from your community and want some fresh ideas. Or perhaps you’ve got an excellent community programme and you need help to clarify the impacts and sustain the benefits – then get us involved. We might just be able to help you access funding to make the good that you are providing more sustainable. What I tried to get across on the airwaves was that when you work with CEIS you begin a collaboration, we are a team of business advisors who are all specialised and supporting Enterprise and Communities across Scotland. There has never been a better time to get in touch. 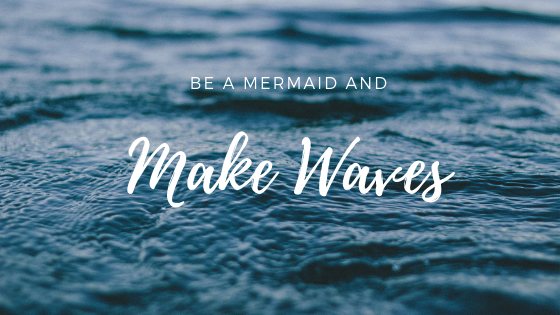 Because if you are a mermaid underneath your normal gear, yes you there, and you want to make waves in this world, see change for the better – I’ve got a question for you: if you don’t do it now – then when will you? I’m a big fan of radio. I listen to radio and podcasts more than I watch TV, and I love local radio, having spent much of my teen and student years volunteering at a hospital radio service. A few months ago I was approached by Simone, presenter of the the Community and Social Enterprise show on Sunny Govan, a community radio station based in the South side of Glasgow but broadcasting to the whole city, and indeed the world via the website. Simone interviews people from a lot of community groups, charities and social enterprises and she said that time and time again our name was mentioned as being a significant help to their organisations. Obviously, really heartwarming to hear but we both realised that we had the potential to do more and over the past few months we’ve been working on a few different ideas. It started with a couple of interviews as part of the Communities show (broadcasts live on a Tuesday lunchtime and repeated in the week) where we covered a whole range of topics including my journey into social enterprise, the support landscape for social enterprises, some of the challenges our clients face and how we can help, and more generally how organisations can become more sustainable. I have to confess that I didn’t tell anyone the first two times I went on the radio. Apart from my mum as she’d still love me regardless! I had agreed with my manager that I’d be appearing but didn’t actually tell her when because I was so concerned that I’d mess up! The idea of going on the radio can be intimidating - there were many ‘risks’ running through my mind - What if I dried up? What if I said the wrong thing? What if I ummed and ahed? What if? What if? What if? But I’ve always embraced that which makes me uncomfortable and the older I get the more I realise that other people don’t pay as much attention to you as you think so I just went for it. And actually, here’s the thing. I am a passionate believer in the power of business to do good. I am a proponent of social enterprise and genuinely believe that charities, community groups and social enterprises are making massive difference to our world and should be supported. 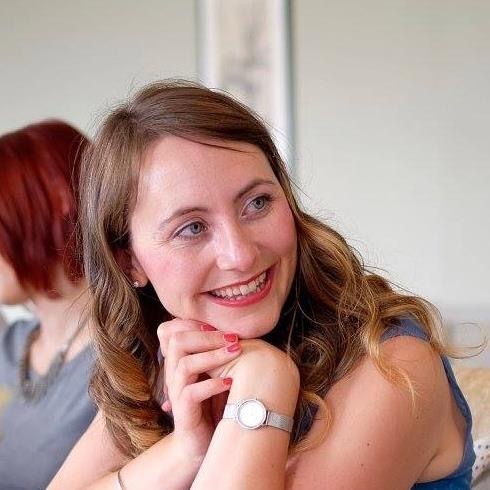 I also know that my amazing colleagues at CEIS provide fantastic and meaningful support to the third sector and I can talk endlessly about the ways in which we have helped our clients become more sustainable and have more impact. So as soon as the mic opened, that’s what I was thinking about. Simone is an excellent and empathetic host and the time flew by. To anyone interested in promoting their cause via Sunny Govan, I’d say go for it. Your passion for your project is all people are going to hear, and any mistakes you make will really only be obvious to you. We are now sponsoring Simone’s show on Sunny Govan and are looking to offer an Advice Clinic slot where staff and volunteers at charities, community groups and social enterprises will be able to write or phone in with questions or challenges and our advisers will give some hints and tips, so watch this space. As part of our sponsorship we were invited to pop into the studio to talk more about what we do in the Enterprise and Communities team at CEIS but of course, being me, it veered off into other areas too. Have a listen , and then contact Sunny Govan about perhaps getting involved yourself.